Just playing around having watched a fab programme on BBC2 about the history of Kibworth Beauchamp in Leicestershire – on the A6. Notes: Box of 14th Century sherds from Park Lane, Little Paxton. Comments: 14th Century sherds, various colours dull rusty pink to mid grey, some with intermittent 1mm white inclusions. On the TV programme I heard about St Neots pottery ware for the first time – pottery made in the 10th Century in East Anglia which was of a superior quality to previous pottery. I wonder who used the sherds from the 14th Century above – who touched them and poured liquids into the pot – what was their life like?? We are just small specks in the play of life…..
Come to Little Paxton on October 2nd!!! Why not?? 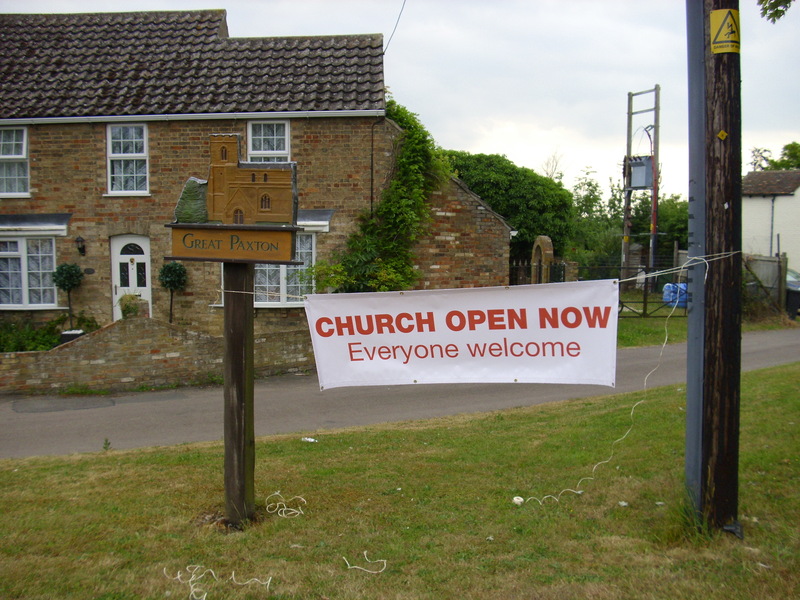 Where ever you are – take a train, plane, bus, donkey or bike and come to Little Paxton Church no less. You can come up the tower and see the old bells which are ripe for rehanging, you can have a wonderful cup of tea, buy one of the last 12 remaining church tea-towels, see a wonderful photo exhibition of nature through the seasons put on by a local man called Graham, and if you stay on till the afternoon hear a live sponsored organ play by Andrew Hickson who will be playing pieces sponsored by local people. Football match? No excuse! Lie in? – never when you could be in LP church. Need to child mind – bring them along too….. just no excuse not to come – and at 12 noon we draw our mega raffle ( still time to buy tickets on the morning!) just think what you could do with £100.00!! And, its all in ai d of our Church For Tomorrow Project to get our bells ringing again. Come along – you know it makes sense! The sense of victory can sometimes be overwhelming – this time I have truly cracked it. After seven month and two weeks I have an answer from Student Finance Direct – my daughter can have some maintenance grant for her university course. Of course, I now feel very sorry I kept harrassing them and realise that ” they” are real human beings who had to deal with my icy voice when time after time they said different things when asked where my application had got to. I mean, they have to process thousands of applications – how can they get them all right?? And as there is no way you can talk to the same person every time you ring and you have to start your story anew each time – its bound to all be a bit of a challenge. Strange in a way that a youngster goes to uni and ends up ( often) with a loan of c £18,000 or more to pay off. Which makes me feel very lucky that in the dark ages when I was at uni it was all paid for as my parents werent very well off. Im not really very wll off either, but of course there is now the system of loans for tuition fees and living costs- which mount up if claimed and spent. The maintenance grant, the one Ive been chasing, is assessed on a sliding scale taking parents income into consideration. Thats where my victory comes in – SFD have got there now and daughter has some money to live off which isnt a loan. Result! It aint much but its better than nought. I heard a very good talk today from an archivist who told us all about the importantance of keeping church records whether they be registers or documents about repairs to the buildings. I wonder. Will our predecessors spend hours in county record offices looking through our old PCC minutes??? What will our churches look like in 100 years time? Will any body remember us? ” Surely we shall all end up just a name on an incumbents board. Its late, Im still at it – writing up reports from the rural dean inspections I did back in May 2010. Well, actually they are archdeacons inspections but RDs often do them for the ADs. I have got to one small parish in my notes and had quite forgotten that in the safe is to be found a copy of ” 1726 Homilies against whoredom and adultery” by James Musgrove. I bet that went down a treat with the congregation in 1726!! 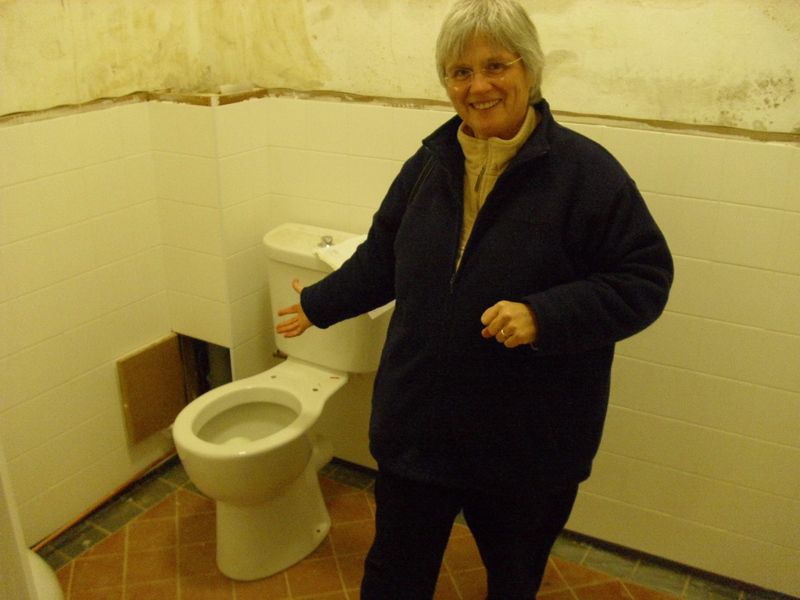 I shant mention which church safe it is in incase there is a mad rush to break in… much more interetsing than lead! I wonder why the book has been kept? I wonder if all parish churches had one? Has anyone ever heard of him? I have googled him to no available – maybe its a best seller on Amazon? Michaelmas is the Christian feast of St Michael the Archangel, celebrated in the Western Churches on September 29th and in the Eastern Orthodox churches on November 8th. In the RC church, it is the feast of St Michael, Gabriel and Raphael – all three archangels mentioned in scripture. Raphael ( it is God who heals) in the Book of Tobit. Michael in book of Daniel. Another archangel – Uriel and 3 others in book of Enoch. The cult of St Michael began in the eastern church in the 4th century and spread to Christianity by the 5th century. St Michael traditionally had the position of leader of the heavenly armies and is credited with expelling Lucifer from heaven. and so the veneration of all angels was eventually incorporated into his cult. The festival of Michaelmas, 29 September, marked the end of harvest time and a turning of the weather and seasons. 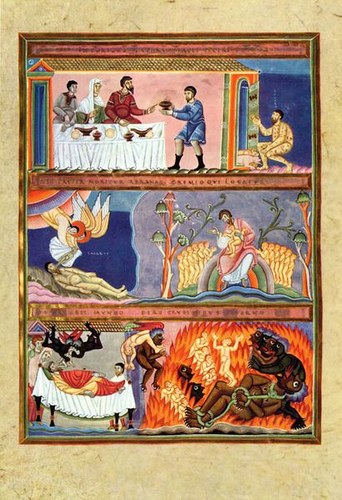 The feast had both Christian and pagan origins. Harvest was an important period of time in the medieval calendar. It lasted for two months and the success of the harvest determined quality of life for months to come. A good harvest gathered was a reason for celebration and a poor harvest meant that prayers and good omens were sought for a better farming year to come. Either way, the feast of Michaelmas was eagerly anticipated. Like many medieval feasts and festivals, the feast of Michaelmas had both pagan and Christian origins. The feast’s pagan origins relate to the celebration of the autumnal equinox and the marking of shorter hours of daylight. Aspects of both Christian and pagan traditions survived through generations to make up various aspects of medieval feast of Michaelmas. One of the oldest pagan practices, whose origins are obscure, is the corn dolly. This was made from the last sheaf of wheat of the harvest and was woven into a human shape, to take the place of honour on the harvest feast table and was believed to bring good fortune for the new farming year. Michaelmas was a quarter day, one of four days which divided the year into quarters. The cycle ran as follows; Christmas, Lady Day, Midsummer Day and Michaelmas. Michaelmas day was traditionally a day of reckoning, as quarter days marked the times when rent was collected. Michaelmas also marked an end of many activities which could only be carried out during the summer months. These included fishing and fruit picking. 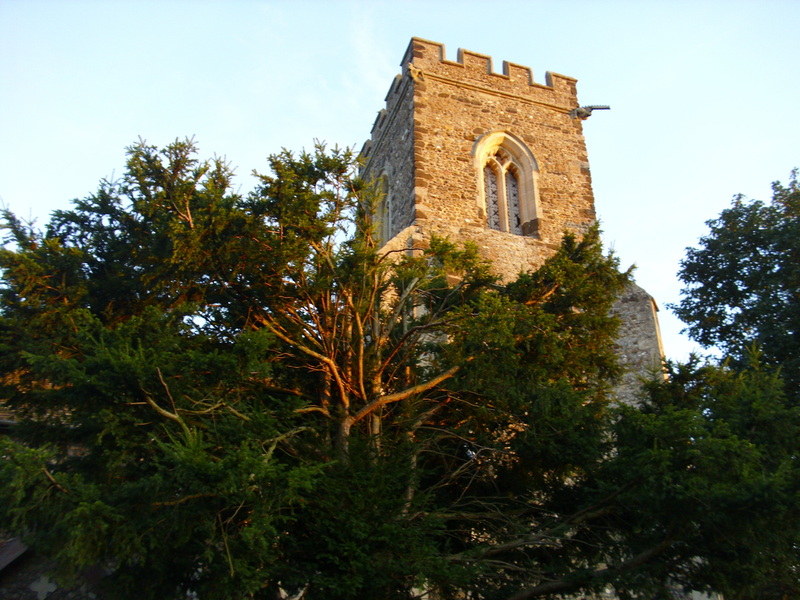 A winter curfew came into operation in many communities from Michaelmas Day and the church bell was sounded early in the evening from Michaelmas onwards, for the town gates to be closed to incomers until morning. With the crops safely gathered, Michaelmas marked the time for landowners to stock barns and sheds full of food, ready for the winter ahead. Meats and fishes were salted, to be eaten during the cold months ahead and a new accounting and farming year officially began. Many villages celebrated Michaelmas with a harvest feast, which offered all the best of what had been gathered and anticipated good times to come, with cupboards full for the coming months. It was traditional for a goose to be eaten at this feast- which supposedly protected people against financial need. On the day after the feast, farm labourers and domestic servants presented themselves at a ‘mop fair’, where they could be hired for work in the coming farming year. The Michaelmas celebrations of medieval times marked the end of the harvest season, which had begun in August with Lammas Day on August 1st. From here, thoughts would turn towards the coming winter season and the festivals of Halloween and Christmas, which would be highlights of the dark months ahead. St. Michael is patron of knights, policemen, soldiers, paramedics, ambulance drivers, etc., and also danger at sea, for the sick. He is usually depicted in art carrying a sword and/or shield, battling Satan. I hope who ever stumbles across paxtonvic blog has a good day and and even better week. Im mindful today that along with thousands of other young people, my daughter is starting her uni course today in Coventry. 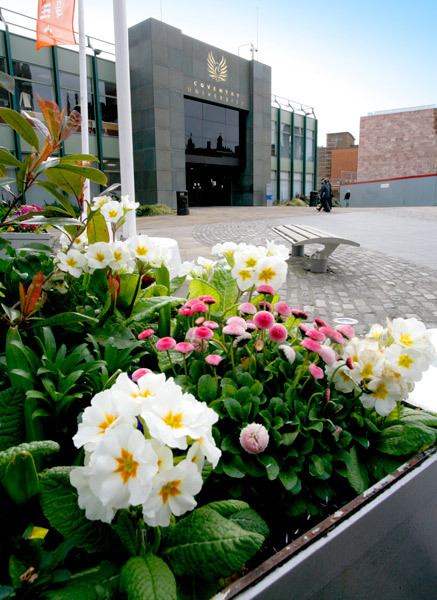 I well remember being dropped off at Surrey University in Guildford by my parents in 1972 and watching them leave the hall of residence from the window of the little box room I found myself in. I felt rather bereft and scared – but not for long. Theres this thing called freshers week and I remember getting involved with the folk club with my guitar and made some freinds through that very quickly. Im glad that Delly as she has a nice house to live in in Covntry with two friends which is near to the university . So, good luck to all the young people begining a new term. The only thing thats left to sort still is Student Finance Direct – my daughter still doesnt know what grant she may be getting – thats after starting the application process in February. Im off this morning to visit a local senior school and then I really want to get the reports done on the church inspections I did in May….. and tonight its school governor time at our local primary. So many of the young people I know work hard, are polite and caring – the small minority who arent probably havent had much of a start in life and need all our help and support. Think Im too soft? When I hear what some children have to live with its not surprising they head down th road of anti-social behaviour. For pure indulgence I like to settle down infront of the TV and watch a period drama – so last nights ” Downton Abbey” pleased me. Im still missing “Lark Rise to Candleford” which was my all time favourite in this genre, but the characters in this new drama look promising and the sets are pleasing to the eye. Its fascinating to see how the servant staff and gentry all mingle and effect eachothers lives in a very subtle way. Which remins me, I mus sort out my four servants and three gardeners before I go out….. Joking apart, take a look at any 1881/1891 census for a well to do village and you will find that the Vicarage family usually had a bevy of servants in their household. Dont suppose the old vicar chaps from those days did a lot of ironing or washing up. But the big houses and vicarages did provide employment for thousands of young people who went into service. ‘Nuff of me rambling on – off to stoke the boiler …. Here is a rough hewn sermon for sunday September 26th, focusing on the Dives and Lazarus parable. Excuse the grammar mistakes etc as I have a poorly right hand and can only use my right hand. I wonder which of Jesus’ parables could make a man with three doctrinal degrees leave the comfort of his own home, leave his community, his country, his own culture and depart for the jungles of Africa just before the outbreak of the 1st world war? What parable could induce a man who was recognized as one of the best organists in Europe to go to a place where no organs played or convince someone to give up teaching at a lucrative teaching post in Vienna and work with people who were suffering from all sorts of unpleasant diseases thousands of miles away? So, this parable that meant such a lot to Albert Schweitzer – let’s take a look at it and see if it can mean a lot to us too. The parable of Dives and Lazarus. Now, the rich man and Lazarus were neighbours. They probably saw each other every day – day in day out. They didn’t see each other socially though – for Lazarus was a beggar, a very poor man who was at the gate of the rich man constantly hoping he would throw him ( or his servants) scraps of food. Who was the rich man? We don’t know – he isn’t given a name. We call him Dives as it’s the Latin word for rich man. But we know that he was self-indulgent. We can embroider his life if we care to – we might think of him as a lover of fine food, wine and clothes – infact we are told he wore purple. Purple was the colour of royalty – it was the most expensive dye in the world. Only the highest tiers of society and priests of the temple were allowed to wear it. We are even told that his undergarments were made of fine linen. Just a little point to bring home the truth that the rich man was very rich indeed. The poor man is named – he is called Lazarus. I’ll come back to the fact he was named in a moment – its rather significant. In the parable he is very poor – he is disabled, he cant work and he spends his days living off the leftover’s thrown out of the window of Dives’ palace. But for all his challenges, for all the suffering he faced, he still survived. As the story line goes, one day both men died. Death, after all, is the great equalizer. Death really doesn’t care about ones wealth, where one is positioned socially in the community, how educated we are or whether we own houses or not. Can you imagine Jesus telling this parable to the crowd around him? They must have felt uncomfortable to say the least. Not for the first time, not for the last time Jesus is reversing the standards of the world around him. God, Jesus is implying, demands justice. Amos 6: 1a & 4—7 6:1a Woe to you who are complacent 4-7 You lie on beds inlaid with ivory and lounge on your couches. You dine on choice lambs and fattened calves. You strum away on your harps like David and improvise on musical instruments. You drink wine by the bowlful and use the finest lotions, but you do not grieve over the ruin of Joseph. Therefore you will be among the first to go into exile; your feasting and lounging will end. Jesus was only being faithful to the prophetic message of his ancestors in faith – God expects justice from God’s people. Yet the message must have been deeply discomforting to those who heard it proclaimed anew. Often in societies across the time line poor people are not given a name. We often hear about rich people – very current issue in this country as those who earn even more than our PM have been named. But we often – maybe inevitably, talk about “ the poor” “ the homeless” the “ third world” or “ people on benefits” or worse “ scroungers” as if they have no identity and are just statistics. On Friday I received yet another mailing from a charity asking for money. Its called Water Aid and in strong words it is asking for households in this country to give £2.00 a month to help them provide decent water for some of the 884 million people who still lack safe drinking water and the 2.5 billion who have no access to sanitation. Yet another request for money, I thought until enjoying my breakfast, I read about Erika who is 12 and lives in Tanzania and whose life has been transformed by Water Aid. Somehow naming a person makes an appeal all that more urgent and real. I did the deed, I do hope not feeling self-righteous but genuinely wanting to help. God expects justice from God’s people. But what about poor old Dives we might want to say. After all, he wasn’t an abusive or brutal man. He didn’t kick Lazarus or rail at him for being a scrounger. For all we know, he made sure every day that his servants gave Lazarus adequate scraps of food to live off. If you like, he was recycling his food waste in a positive way. Quite a current topic. I’m going on a conference in Huntingdon on October 7th about food waste- really interested in the subject. So, why so hard to Dives? It seems that his trouble was that he accepted without question all his wealth and high estate. It was God given also – he had a right to be rich whilst the likes of Lazarus were meant to be poor. Remember that most unfortunate line in the hymn all Things Bright and Beautiful? He made them, high or lowly, and ordered their estate. Ordered their estate? That’s not what this parable teaches. No, Dives fault was that he too readily accepted that he was rich and Lazarus was poor and so all that Lazarus deserved was scraps. It never occurred to him that the fate that Lazarus’ status at birth and the fate of his own status at birth could be reversed. We all know that Dives could have helped Lazarus more – and the plight of many beggers around him. But he was indifferent to his plight. He really couldn’t care less. So in death their fortunes are reversed. Dives suffers the torment that Lazarus felt in this life – and no wonder pleads for relief – which he doesn’t get. I’m not going to finish by beating myself or any of us up for being comfortable and complacent in Little Paxton. Albert Schweitzer’s response to the parable was immense and hugely self-sacrifical but there are so many ways that we can become more aware of the injustice in our society and take small steps to tackle it. Next week we shall be collecting things for Jimmys night shelter – yes, we shall be supporting the “homeless”- we haven’t got any names of who is there right now, though when one of Jimmys workers came out to us last year she told us some stories of real people who had been helped by them. I like to think that the British people responded out of selfless giving as they donated their 40 million to the DEC appeal. Our giving is often rightly a private and personal matter which we don’t need to publicise to others. May we all pray for the strength to be rich in good deeds and to be generous and willing to share. God expects justice because Gods’ grace is freely bestowed upon all people. And may we all say Amen. I was thinking as I chaired yet another meeting tonight what Jesus would think about all the vestments some priests wear – and some wear more than others for worship. Im not over inclined to dress up much and find a chasuble for Holy Communion far too hot. 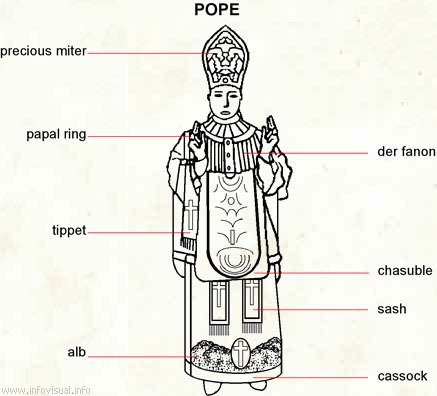 Maybe vestments are designed to depersonalise us and give us a uniform appearance when leading acts of worship? 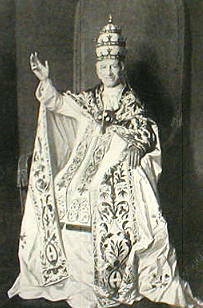 I rather liked it when the pope took off his mitre and his little round cap when celebrating mass – I think that is in differance to a higher power. 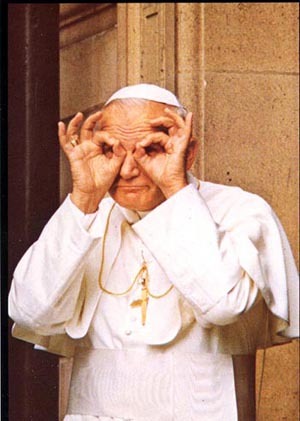 Still mulling over the Papal visit…. Meanwhile, I wish sometimes I could see into the future…. and other times I dont! Pope Leo X111 – now that is a bit over the top. I shant presume to write much about the Pope’s visit to England as far more eloquent people than me have written millions of words about it these last few days. But I have been profoundly moved – far more than I thought I would be- by seeing The Pope and Archbishop of Canterbury entering Westminster Abbey together this evening -along with representatives from other denominations. 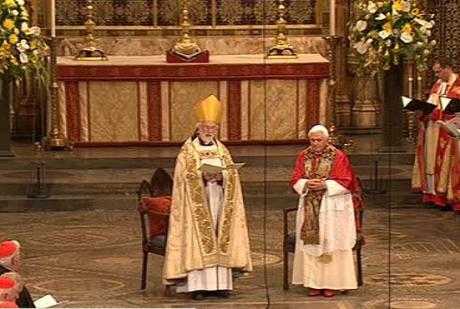 The first time a pope has ever been into Westminster Abbey. Think what a giant leap forward that symbolic act represents when during the time of Elizabeth 1st being a Roman Catholic was a very dangerous thing and priests often had to hide in priest holes when in England when they were being persued by the state. Here was a modern day pope praying together with our Archbishop. Maybe there is hope that one day we shall become one in Christ. There are just a few obstacles to be overcome on the way, though….. I do feel very sad that this dear man ( least he seems rather dear to me) wouldnt accept my priests orders ( or those of my male colleagues) and when watching the various liturgical acts such as the mass in Scotland yesterday the main ” players” were all men ( apart from women who sung and read). I wonder if that will ever change? From the Telegraph online reporting of the visit: some bulletins from today. 16.15: A very warm welcome from Dr Williams. The pair kissed and hugged and held hands for several seconds. 16:38 Much appreciation on the web for the headline in the Scottish Sun today: Our Father in tartan heaven. 14.34: Father Lombardi has just posted a blog about the visit and how the Pope manages “serenity in difficult situations”. “Serenity, that itself becomes a message and example for believers. The secret is, in fact, faith in Jesus Christ. Benedict XVI proposes it with intelligence, confidence and joy, knowing and respecting the questions and difficulties of his interlocutors. catholicherald The choir of Westminster Abbey singing beautifully. That is one bit of Anglican Patrimony we could really do with. Yes, we do do these things rather well… just an edge on Susan Boyle, bless her! I love looking at ancient stone walls. 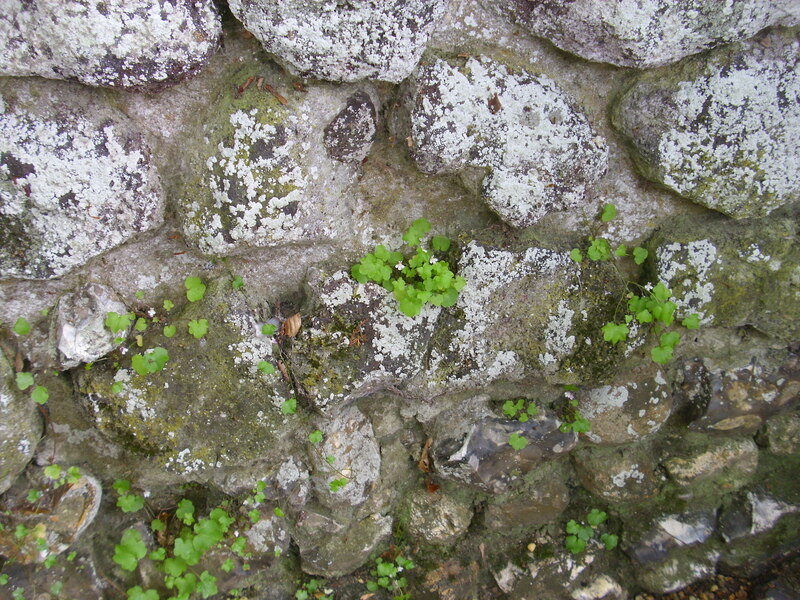 Here are some pictures of stones from the ruined walls of North Elmham cathedral in Norfolk. 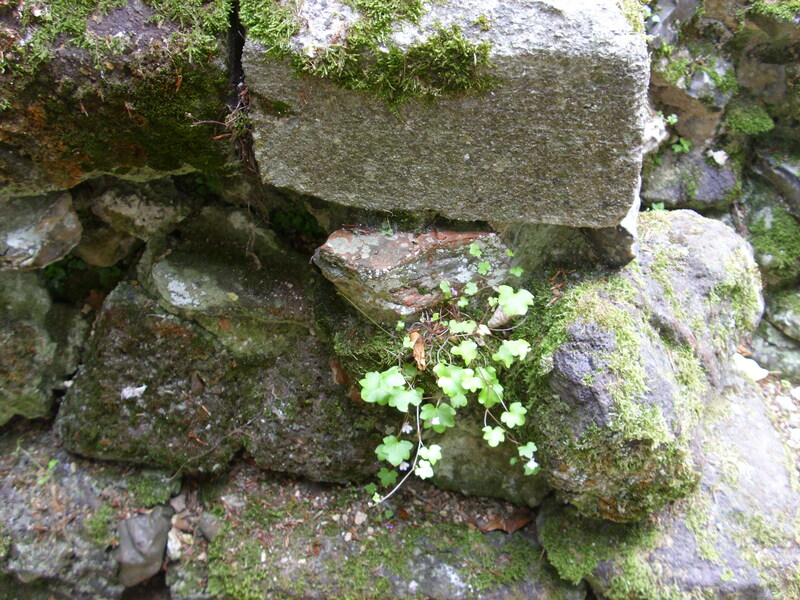 Small green plants survive amongst the hard stone and drink in the sunlight. 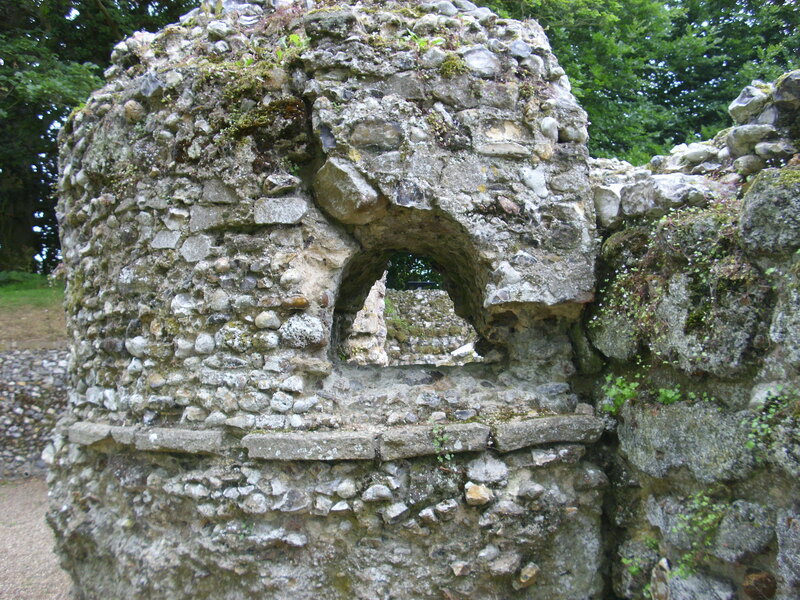 When I visited North Elmham Cathedral in the summer I couldnt work out if it was an old cathedral ruin or a chapel or a castle. Still, it was very beautiful all the same. North Elmham Cathedral is six miles north of Dereham on the B1110. there will be lots of copies of registers as well and documents such a church wardens minutes. So, if you like local history and live nearby – why not pop along to Great Paxton on Saturday? Tasty refreshments will be served in the afternoon.